The WBA Ratings Committee presents the new format for the organization ranking, including the Super Belts for those champions who make 5 and 10 consecutive title defenses with the names of their winners. 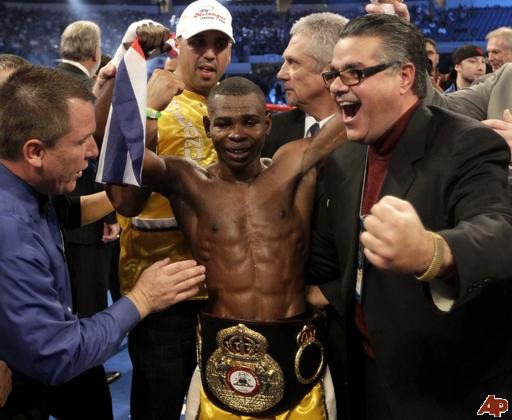 The World Boxing Association Ratings Committee appointed the Super Bantamweight World Champion, Guillermo Rigondeaux from Cuba as the Boxer of the Month. Rigondeaux fought the former undefeated boxer and WBA Super Bantamweight World Champion, Rico “Suavecito” Ramos on January 20, 2012 in Las Vegas. This was Ramos first title defense after winning the title from Akifumi Shimoda who he knocked out in Atlantic City. Rigondeaux, who has a professional record of nine wins, seven of the by KO, knocked down Ramos in the first round. However, in the sixth round he could not get any more punishment from the Cuban challenger and did not get up on the minute 29 of the round. From January on, the World Boxing Association is presenting a new format for the ranking that will ease the Reading and interpretation of the information. It also includes the name of the Super Belts for those champions who make 5 and 10 successful title defenses as well as the name of their winners.